Arin Oppermann grew up in Marion, Iowa. While in high school, she lettered four years on her varsity softball team, was awarded first team All-State, and pitched for the Iowa Elite softball team. After high school, Oppermann went on to have a successful pitching career at both Kirkwood Community College and Luther College, where she also received her bachelor’s degree in elementary education. 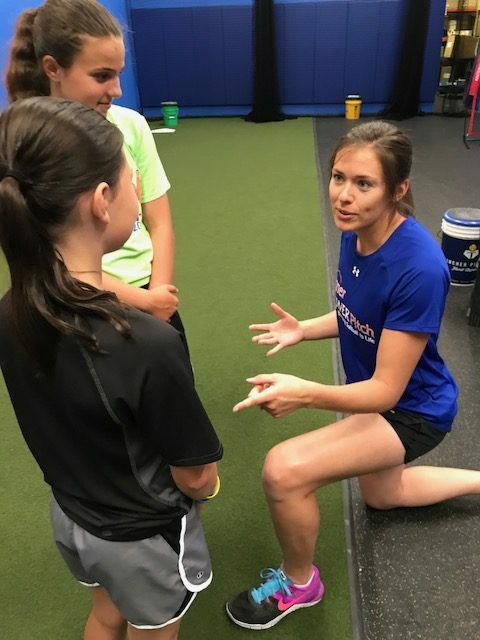 Since then, Oppermann has held a number of coaching positions, including high school head coach and college pitching coach, all while continuing to provide private and group pitching instruction. Oppermann currently works at Inner Power Pitch in Middleton, WI. Like many other pitchers, I was taught the “old school” pitching technique. I went on to have a very successful high school and college pitching career, but felt I had never reached my full potential. Still, I used that same technique early in my private pitching instruction because it was all I knew. I saw my pitchers grow and improve, but I noticed that some of them started plateauing when they should have been making gains; it was as though the same unknown barrier that I experienced when playing was preventing them from taking off. Within minutes of our first meeting, I knew she would be great. Arin began finishing my sentences, understanding concepts and making leaps to the next step in each progression. It was as if she had been searching for something like this for a very long time and she was excited to learn and grow. One day, when a kid was unable to make her lesson, Arin asked if she could take the spot so we could teach her with these concepts. She made the transition so effortlessly that, in a few short minutes was flying off the mound so aggressively that we all took notice. She sees it, understands it, can feel it, and she communicates it so well to her students. We love having her in our organization.